All aboard the color train! 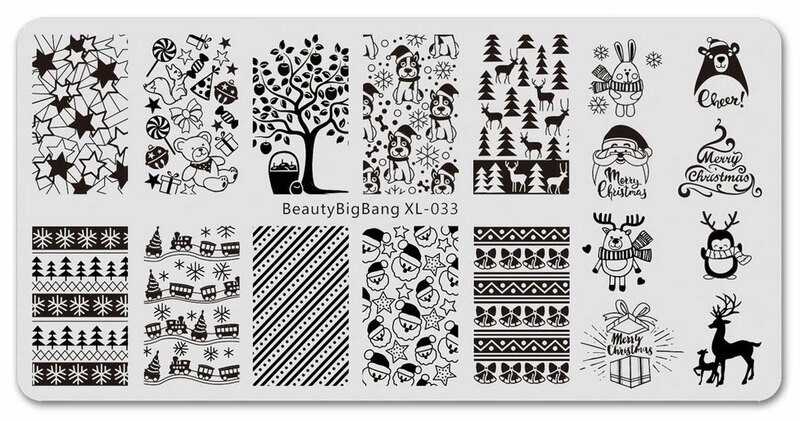 LOL We’re back to reviewing stamping plates today with Beauty BigBang’s XL-030 and XL-033. 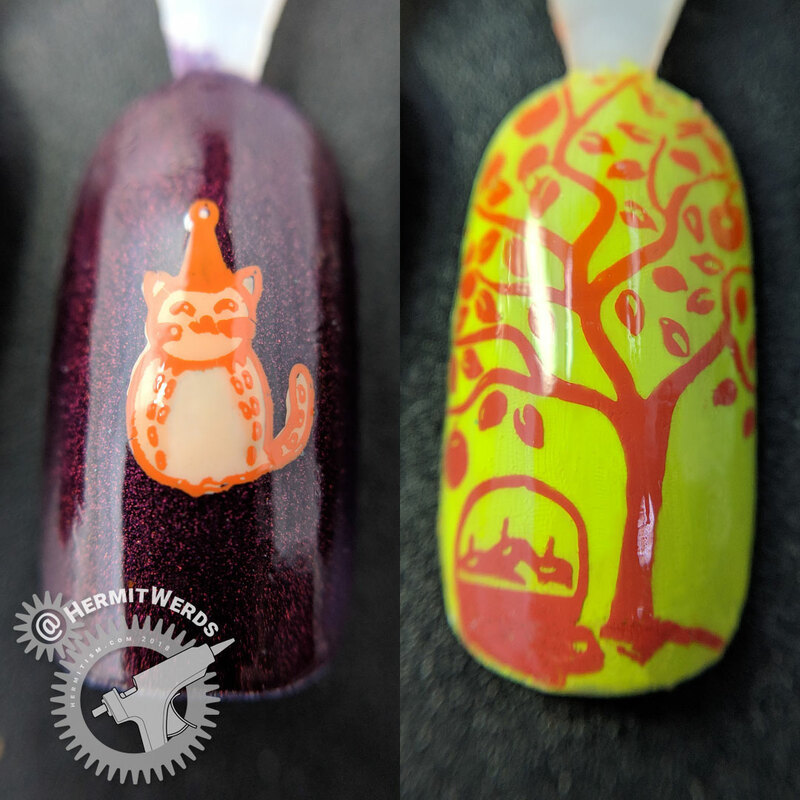 The former has several cat images (all of which I loved and used immediately) and the later has this amazing full-nail train stamp that I separated to create a great french tip look. 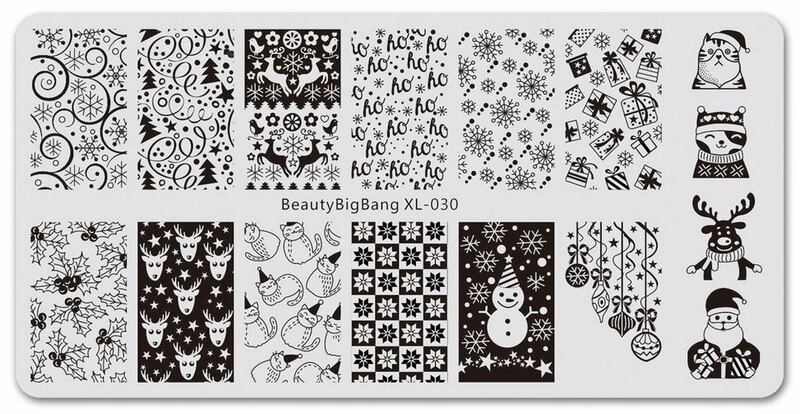 Again, I asked for the whole winter set of five rectangular stamping plates. I have already reviewed two of the plates on Thursday’s post. 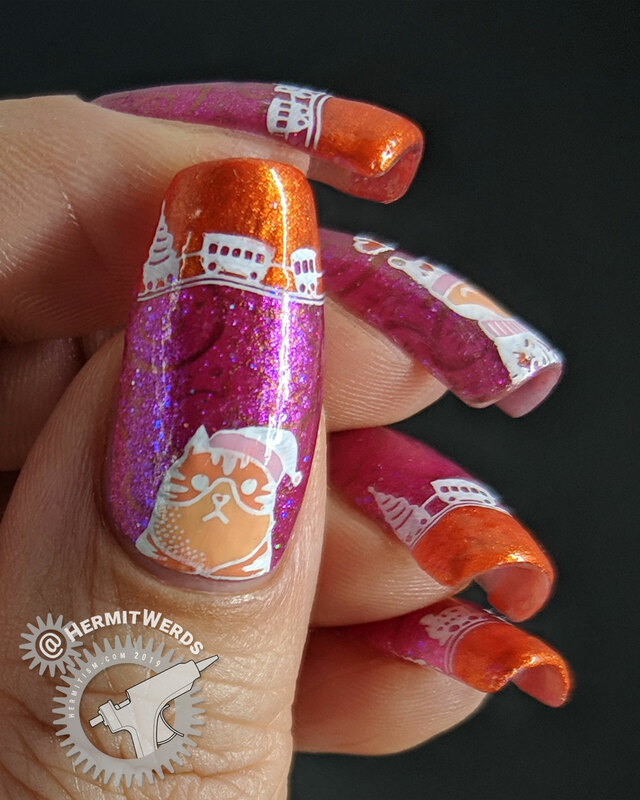 This stamping plate comes with ten full-nail patterns and eight individual images. I love all the little animals with their scarves. 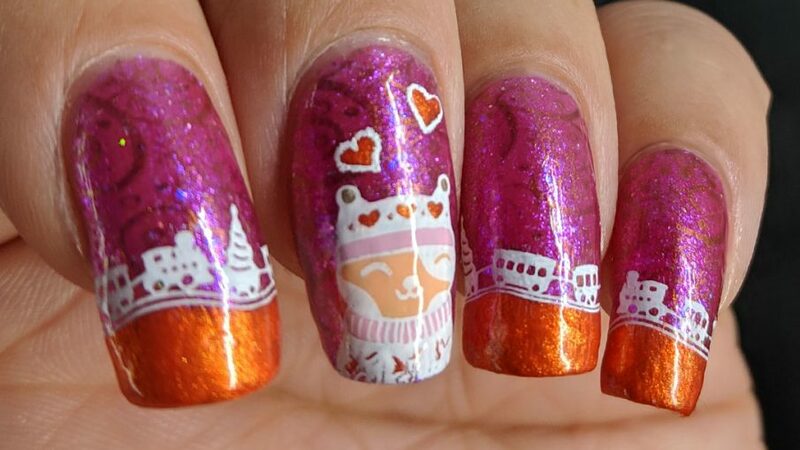 I’ve seen a lot of nail artists use them in their designs, so I am not alone in that. 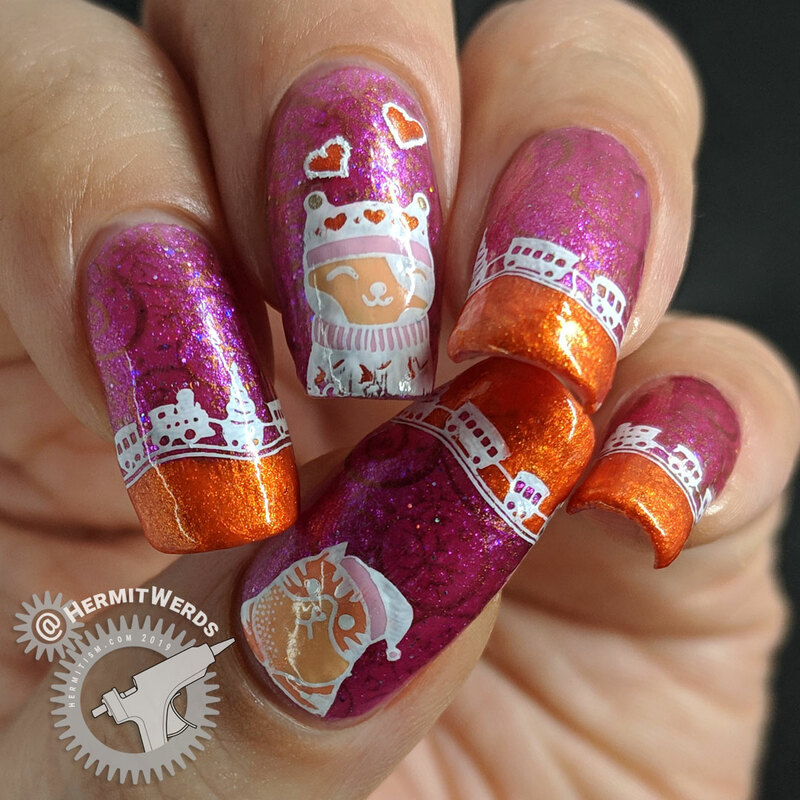 We also have two “ugly” Christmas sweater patterns and lots of possibilities for plucking out little bits from the full-nail images to make fancy french tips. The train is probably the cutest one. I am also fascinated by the negative space bar of the deer/tree pattern. I think that could make a very interesting french tip. And the little Santa heads with stars just make me think of cookies. That’s right, Santa, I want to nom you all up! Apple Harvest. Background is Sinful Colors’ “Innocent“. 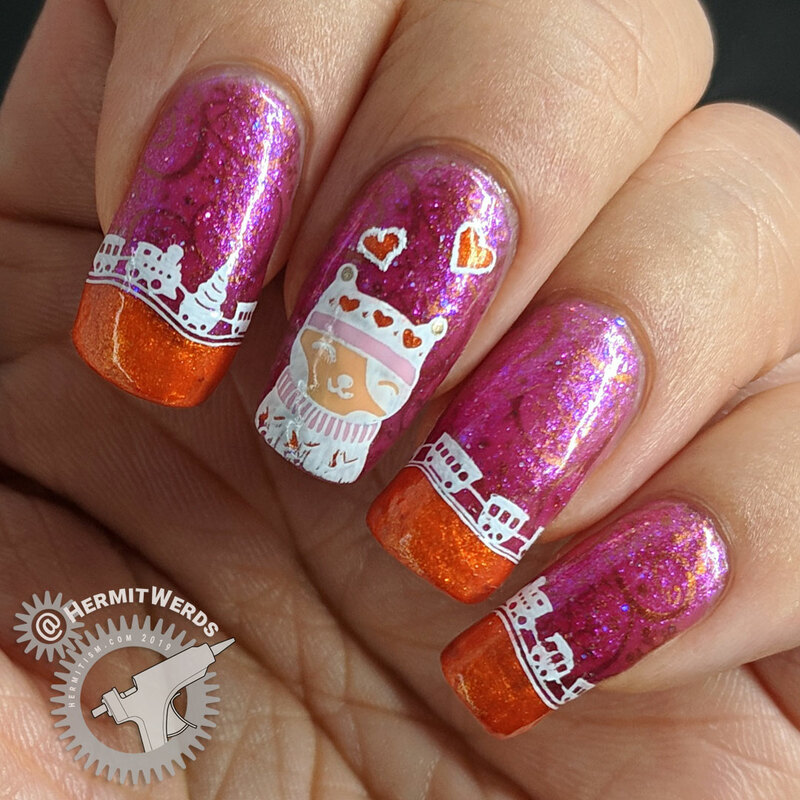 Stamping done with Mundo de Unas’ “Brick” and “Orange“. Pow! So much color and nothing that is traditionally Christmas-y yet it still works. That makes me very happy. If you’re interested in either of these stamping plates (BBBXL-030 and BBBXL-033) or the five piece set (ZHSP0467) feel free to use my discount code (hermi) for 10% off your order. (Non-affiliate code).